2018 Listen Up! 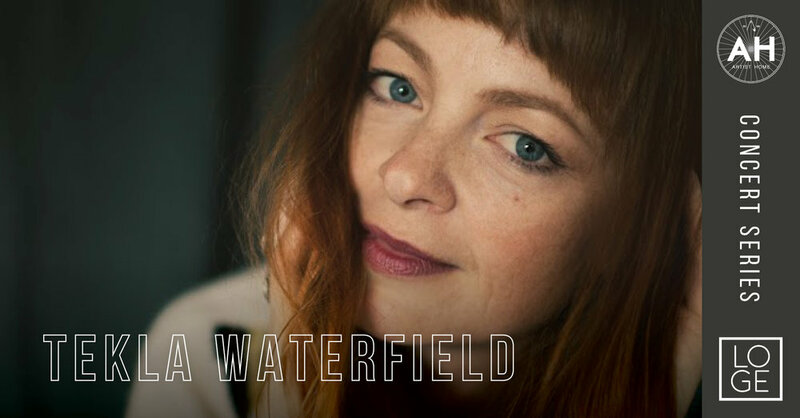 Women in Music grant recipient, Seattle based singer/songwriter Tekla Waterfield lives in the wide-open realm of Americana Roots music, incorporating elements of folk, country, indie, rhythm and blues, and soul. Waterfield has had songs placed in two independent films including the Beverly Hills Bandit, in which Tekla played a cameo role and with appearances by Eric Roberts and Ron Jeremy, and was premiered at the Warner Brothers Studio in Los Angeles, and in Undeserved, a faith-based film which won multiple awards at Christian Film Festivals. A song from her recent release has just been selected to be added to a third independent film soundtrack. Tekla's influences range from Courtney Barnett, to The Velvet Underground, Gillian Welch, War on Drugs, The Cowboy Junkies, Wilco, Courtney Barnett, Frazey Ford, Bill Withers and more. In addition to live performances with her band, Tekla lends her vocals to others for recordings and occasional live appearances, is an active member of Seattle's Bushwick Book Club, a group of artists who create work in response to literature, performs regularly at SeaTac Airport as part of the Experience the City of Music Project, was a long time open mic host in Seattle, and is a featured vocalist with the highly revered Seattle Rock Orchestra.